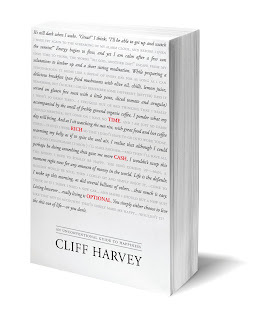 Musings by Cliff : Time Rich Cash Optional (an unconventional guide to happiness) has arrived! Time Rich Cash Optional (an unconventional guide to happiness) has arrived! We are at a critical junction in our development. The old ways of materialism and consumerism have not made us happier; in fact it seems that more and more people are becoming sick, tired and less happy. Stop simply being alive...and start really LIVING THE SH%# OUT OF LIFE!